After a three-year hiatus, Christian metal elders Living Sacrifice return in excellent form on The Infinite Order, their seventh studio album. Living Sacrifice was one of the first Christian bands to play extreme music and gain wide recognition. Prior to them, the only Christian "metal" band with any sort of popularity was Stryper, who played gimmick-filled hair metal and are still not taken very seriously by most. Living Sacrifice took the opposite track, playing aggressive thrash and death metal with a pro-religious message, and in doing so, they influenced a whole generation of young Christian bands. To this day, popular Christian metal bands like Demon Hunter, August Burns Red, the Showdown, and Haste the Day count Living Sacrifice among their primary inspirations. 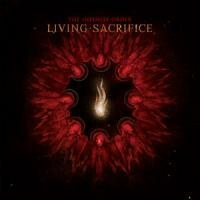 Now, after a long hiatus, Living Sacrifice has returned with their seventh album, The Infinite Order. This album sees Living Sacrifice returning to their roots and tightening their music into a potent, well-oiled machine that sounds just as fresh and powerful as it did when the band first formed. The strength of The Infinite Order lies in the cohesion of the band's sound. On older albums, the band kept their sound disparate, with thrash elements mostly separated from death metal parts. That is no longer the case, as the thrash and death parts of the band's sound are brought together on this album to create fast, aggressive, technical songs that are easily distinguished from each other and memorable in their own right. The guitar solos are not the fastest ever played, but they strengthen the songs and complement the lead riffs nicely. Bruce Fitzhugh's vocals are just as unique as in the past, taking the form of a powerful growl that almost seems like spoken word at times. Guest vocal appearances by David Bunton of the Showdown and Joe Musten of Advent add depth to the songs they appear on, and the band also recognizes their past with an appearance by former guitarist Jason Truby on "The Training". Living Sacrifice has always been known for taking on controversial topics in their lyrics, and The Infinite Order continues this tradition in bigger ways than ever before. The most obvious example is the song "Nietzsche's Madness", which attacks the existential theories of philosopher Friedrich Nietzsche and his famous statement of "God is dead. God remains dead. And we have killed him." But even more socially relevant topics are also covered throughout the album. There are songs dealing with justification for war ("Rules of Engagement"), social justice ("God Is My Home"), and societal attacks against organized religion ("Organized Lie" and "Apostasy"). There are very few bands willing to take on such difficult subjects, and Living Sacrifice is one of the few who do it in a way that doesn't come across as a gimmick or a condemnation. The Infinite Order is proof of why Living Sacrifice is one of the most influential Christian metal bands of all time. Musically, the album is an excellent example of the band's trademark sound that many have tried and failed to duplicate. Lyrically, each song is an intelligent discourse on issues of the world, the mind, and the spirit. The members of Living Sacrifice are masters of their craft, and even now, more than two decades after the band's formation, they are still true to their music and unwilling to sacrifice anything for it.